WASHINGTON (BP)—The number of Christians suffering high to extremely high persecution is 14 percent more in 2019, Open Doors reported, counting 245 million individuals globally. Life without religious freedom is no freedom at all, Curry said at a Washington, D.C., press conference announcing the findings. China climbed to 27th on the list from 43rd in 2018. India ranked as the 10th most persecuted country this year, its first time in the top 10 in the rankings’ 27-year history. India outpaces China in persecution, despite the rampant closure of house churches and the widespread arrest of Christians. North Korea, an authoritarian regime mandating worship of President Kim Jong-un, maintains its first place for the 18th consecutive year. Others in the top 10, in descending order are Afghanistan, Somalia, Libya, Pakistan, Sudan, Eritrea, Yemen and Iran. Russia, which had not placed in the top 50 countries of persecution since 2011, entered the 2019 list at No. 41. Globally, persecution against women and the spread of radical Islam across sub-Saharan Africa join authoritarianism as notable trends driving persecution. Africa is a major epicenter of violence against Christians, with groups loyal to the Islamic State growing in sub-Saharan Africa. Open Doors noted a splinter group of Boko Haram, the Islamic State West Africa Province or ISWAP. Numerically, the 245 million persecuted Christians counted this year are more than the 215 million counted in 2018. Globally, one in nine Christians is highly persecuted—an increase from one in 12 last year. Each day of 2018, 11 Christians were killed, totaling 4,136 by year’s end. Most of the killings—3,731—were in Nigeria, which ranks 12th on the list, Open Doors said. Pakistan and the Central African Republic round out the three countries where Christians experience the most physical violence. Among few improvements for Christians in 2019, Iraq ranked number 13 this year after an eighth-place spot in 2018, evidence of the territorial defeat of ISIS. Malaysia improved from 23rd to 42nd, where the electoral victory of the Pakatan Harapan political coalition has reportedly given hope to persecuted minorities. North Korea, despite its first-place rank, freed three imprisoned Korean American Christians in 2018, including a pastor convicted erroneously as a spy. Interviews and research conducted November 2017 through October 2018 measures Christians’ ability to practice faith in five spheres of life, namely private, family, community, national and church. Each category is measured with numerical points, with the total score determining a country’s ranking. For instance, North Korea garnered 94 out of 100 points, with India accumulating 83. Ranking 11-50 on the list are, in descending order, Syria, Nigeria, Iraq, Maldives, Saudi Arabia, Egypt, Uzbekistan, Myanmar, Laos, Vietnam, Central African Republic, Algeria, Turkmenistan, Mali, Mauritania, Turkey, China, Ethiopia, Tajikistan, Indonesia, Jordan, Nepal, Bhutan, Kazakhstan, Morocco, Brunei, Tunisia, Qatar, Mexico, Kenya, Russian Federation, Malaysia, Kuwait, Oman, United Arab Emirates, Sri Lanka, Colombia, Bangladesh, the Palestinian Territories and Azerbaijan. 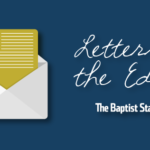 Letters: What led to Christian persecution?